Clémence is a singer, actor, comedian, host, artist and, like her father, Alfred Desrochers, a poet. She left her home city of Sherbrooke for Montréal at age 17. She first taught, and then began a career at the Saint-Germain-des-Près cabaret in 1958 alongside Jacques Normand. Clémence paved the way for women in more than one area. Indeed, she was the first female cabaret artist in Quebec and its first real humorist. 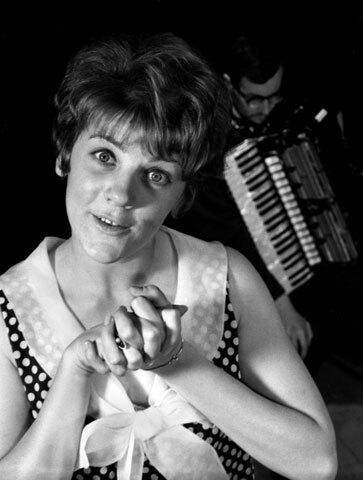 In 1964, she produced the first musical comedy in Quebec entitled Le vol rose du flamand, a production that brought together cabaret artists and theatre actors. The year after, she opened the Chez Clémence nightclub with Yvon Deschamps in Vieux-Montréal. Then, in 1969, she wrote Les Girls, the first stage musical exclusively featuring women (Clémence, Louise Latraverse, Diane Dufresne, Paule Bayard and Chantale Renaud). Clémence performed so many times on the stage of the Patriote that its owners named the room above the hall in her honour.